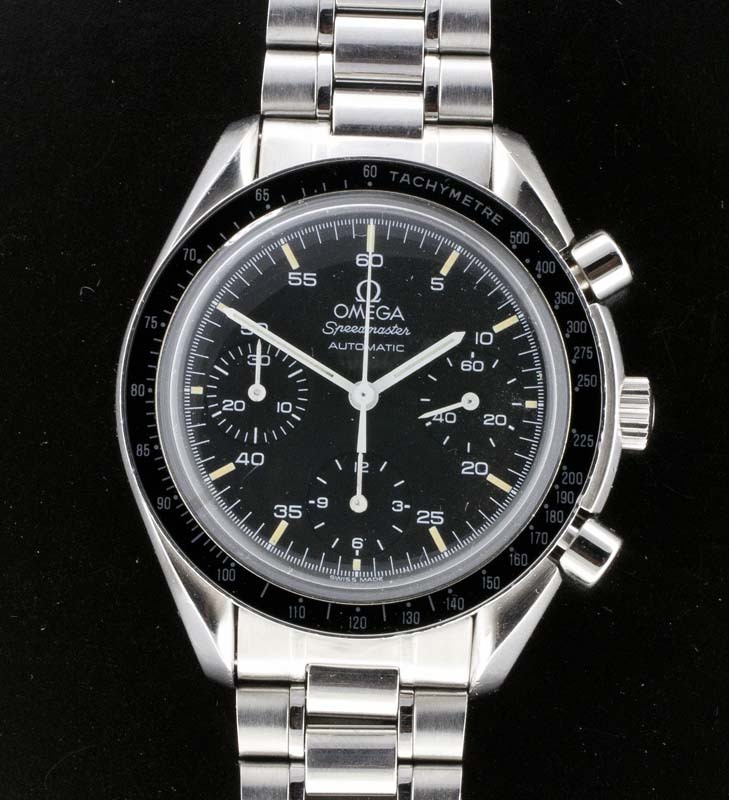 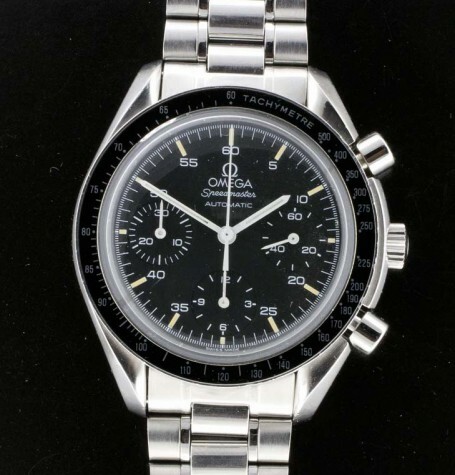 Omega Speedmaster Reduced, makes you think its a sale price on this handsome watch. 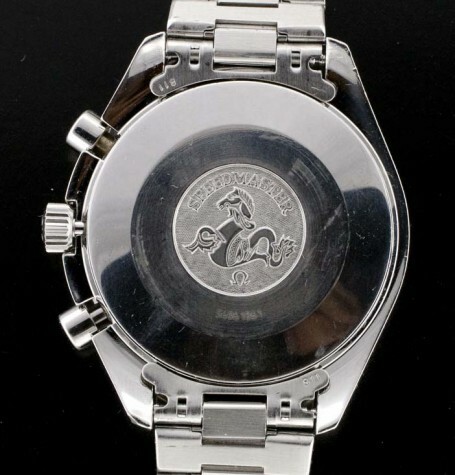 Actually its a nickname this watch acquired. 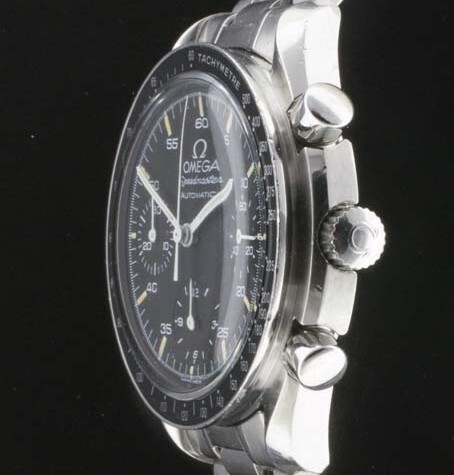 It is visually similar to the famed Omega Speedmaster Moonwatch, but a smaller size and with an automatic movement. 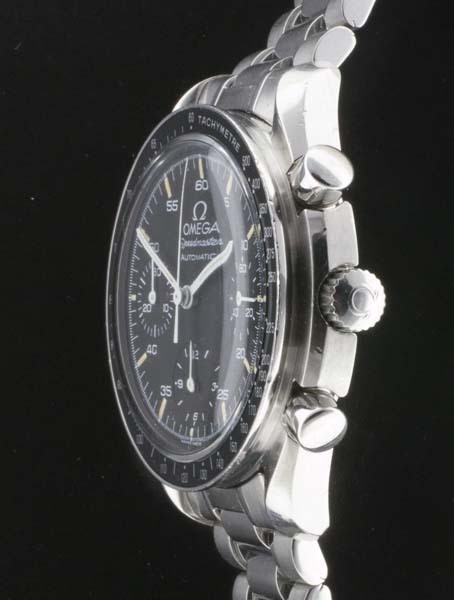 Interestingly, this Omega Speedmaster Reduced also is fitted with an acrylic crystal, as is the Speedmaster Professional Moonwatch. 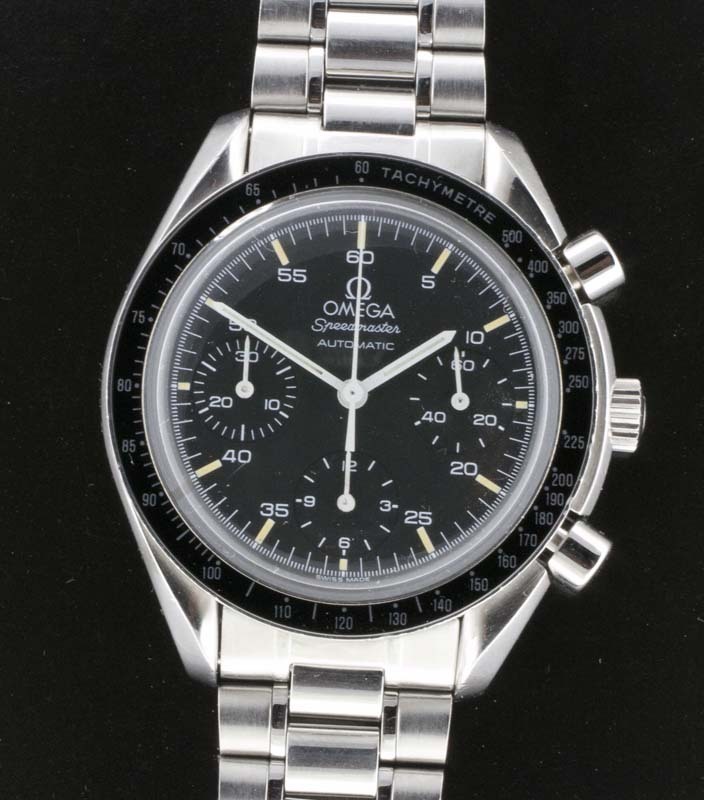 The watch, reference 3510.50.00, features the same iconic 3 register black dial layout as the larger Omega Speedmaster Moonwatch but is not signed Professional. 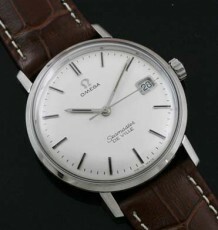 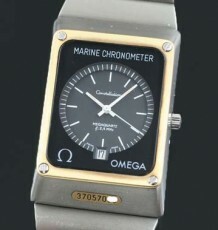 Many people prefer the smaller size and convenience of the automatic Omega calibre 1141 movement. The movement is actually an ETA based 2890-A2 automatic movement with a Dubois-Dépraz 2020 chronograph module piggybacked on top. 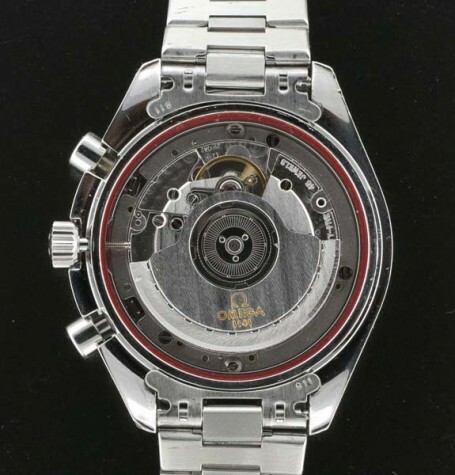 The resulting combination yields a staggering 46 jewel high precision movement. 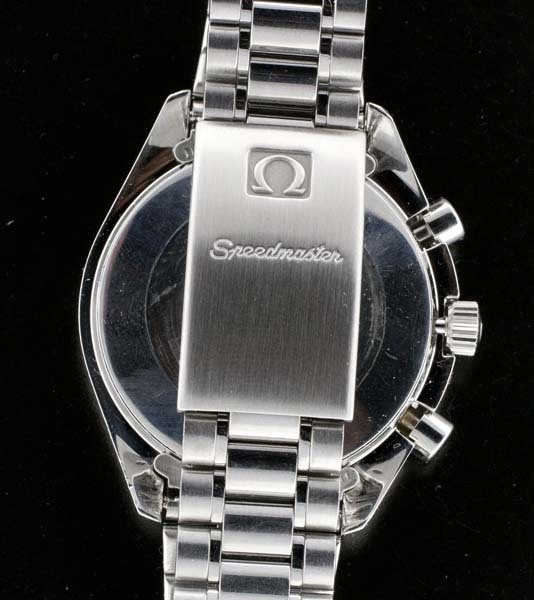 This watch has been fully serviced and functions flawlessly. 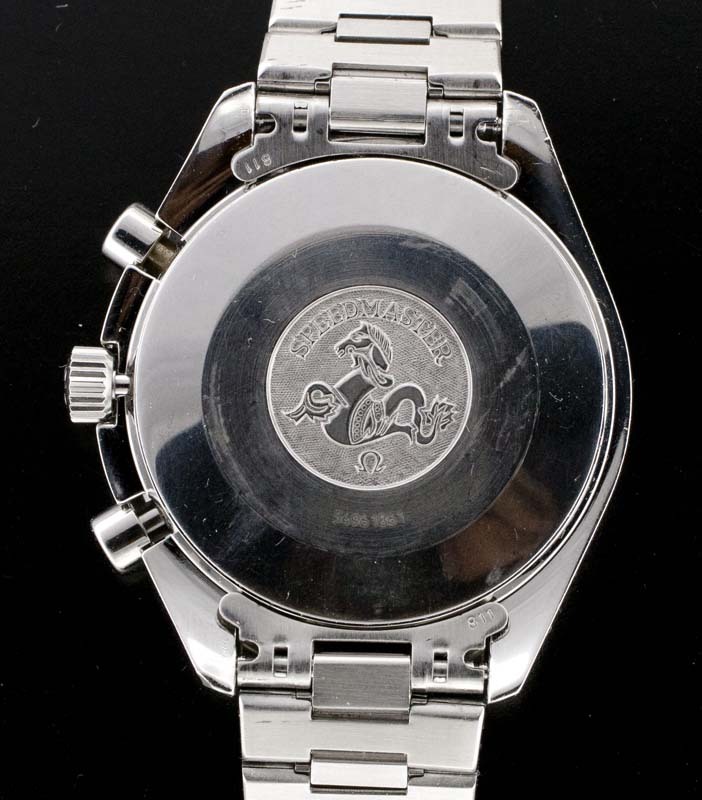 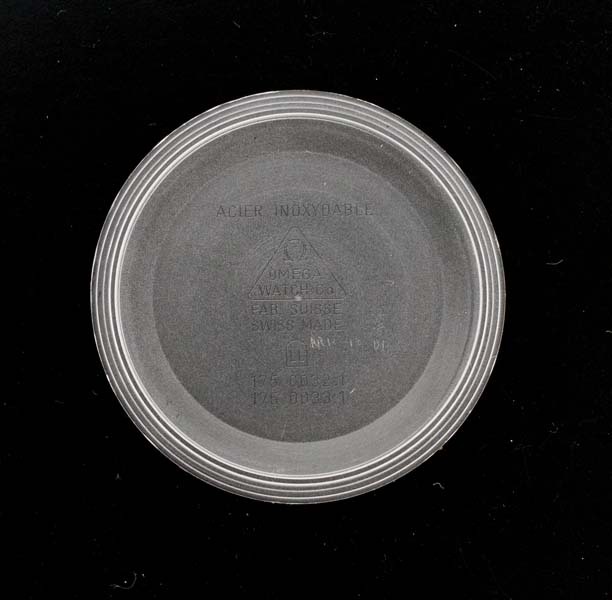 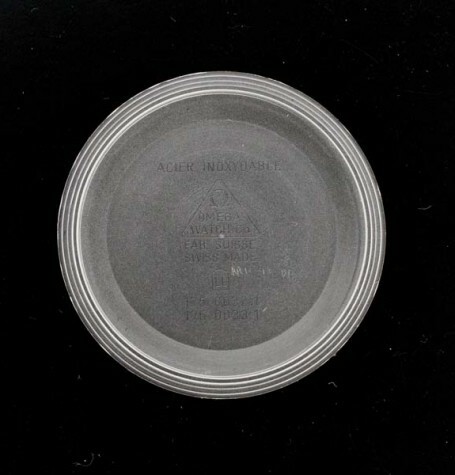 A serial number of 54.9 million dates the watch to the late 1990’s. 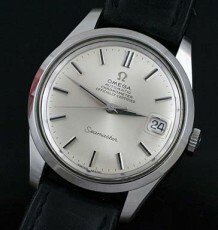 This model has been discontinued for some time now and is still sought after due to the size and iconic styling. 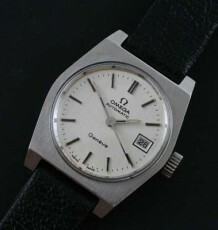 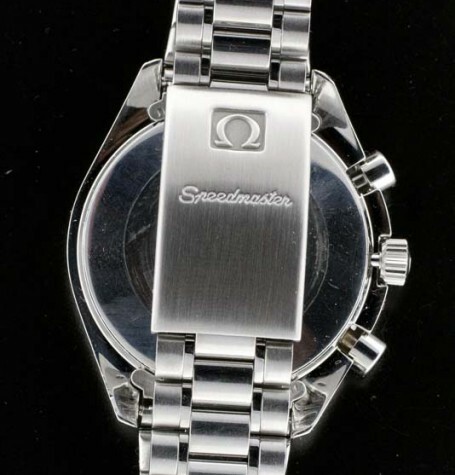 The steel case measures 38 mm wide by 44 mm long and is supplied on the original Omega steel link bracelet with fold over clasp. 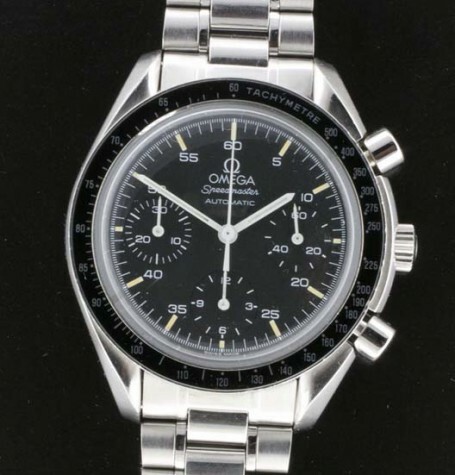 Here is an interesting article on the Omega Speedmaster Reduced compared to the Omega Speedmaster Pro.